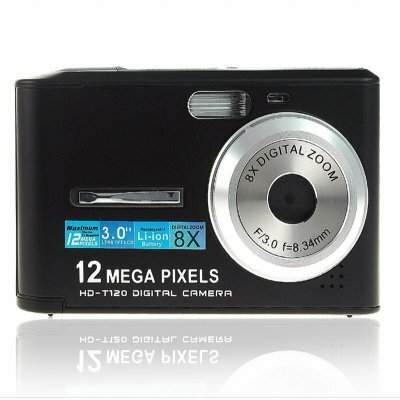 Successfully Added Digital Camera, 12M Pixel, 3.0-inch LCD, 32MB Int.Mem, SD/MMC to your Shopping Cart. Cool looking Digital Camera with a thin design, and a great feel in your hands. Excellent features such as voice/digital recording, 3-inch LTPS TFT color screen, 8X zoom, and user friendly controls.